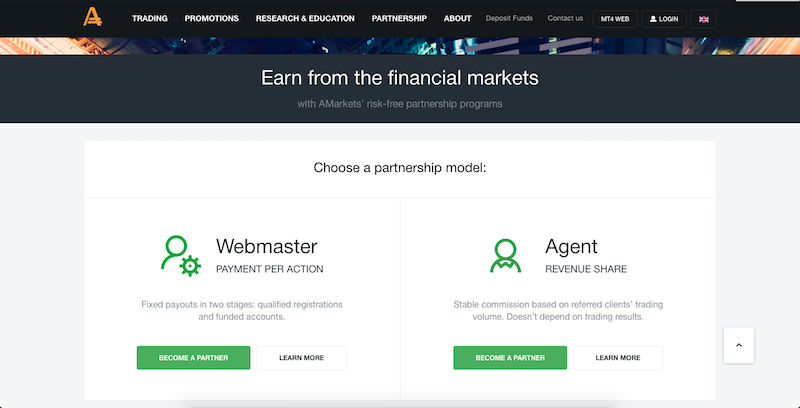 AMarkets’ Partnership Program Highlights Two models of cooperation – “Agent” and “Webmaster”. When you join the AMarkets Partnership Program, you will be offered to pick the most convenient way of referring clients and receiving remuneration. Besides that, the “Agent” model is a multi-level structure, which allows you to create multiple income streams. 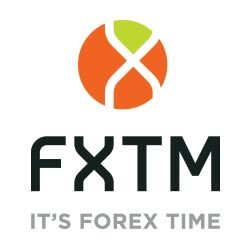 CPL+CPA (Cost per lead + Cost per action) – one-time payouts for each qualified registration and payouts for each funded account. These earning models are suitable for website owners, webmasters, bloggers and lead generators, who can work with, and redirect web traffic, for those who want to receive a fixed income and like to plan their marketing budget ahead.